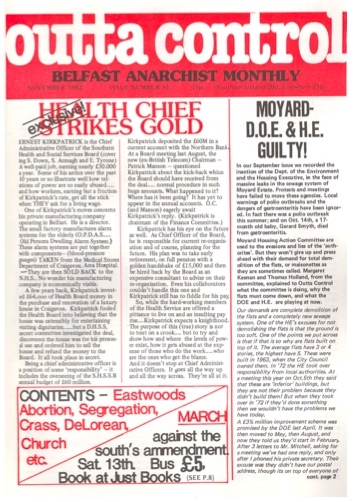 A four page leaflet put out after British anarcho/pacifist/punk band played at Belfast’s short lived anarchist youth ‘A Centre’ in Long Lane. National Front supporters attacked the gig, and then the RUC arrived and thumped some of the punks who had been the target of the NF attack. 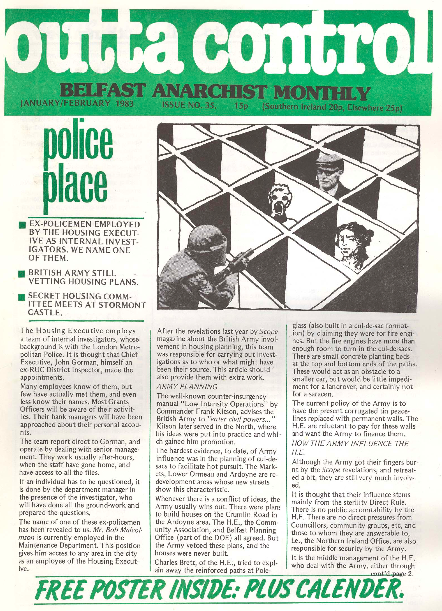 Opened in November 1981 the A Centre was run by the Belfast Anarchist Collective as an “alternative cultural space” in Belfast city centre and ran on Saturday afternoons. 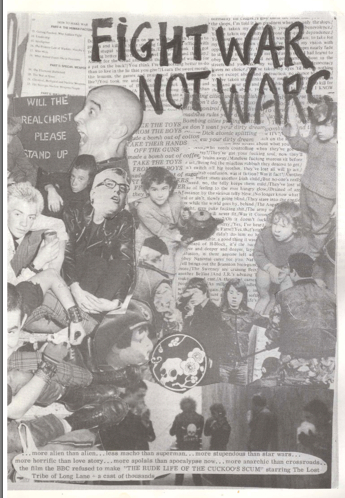 It soon became a magnet for young people and punks in particular. On loan from Belfast’s gay Carpenter Club the A Centre put on banned or controversial films, new wave music and punk bands, performance poets and artists, alternative books and comics, and a wholefood cafe. Among the bands who played there were Stalag 17, The Defects, Xdreamists, Rudi, Spider, Rufrex, The Outcasts, The Defects, Just Destiny and Ten Past Seven. The corganisers were openly hostile to the cops (usually refusing them admission: “sorry pal, we have a no uniforms policy“). 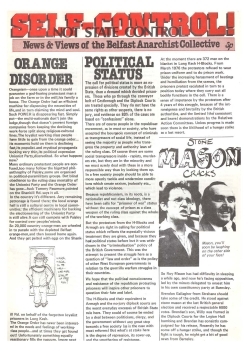 In retaliation the RUC got scare stories into the local papers about “under age kids mixing with subversives” “glue sniffing”, and so on. This, and resulting hassle from the city council because they didn’t have an entertainment licence, meant that after about a year the Centre closed.